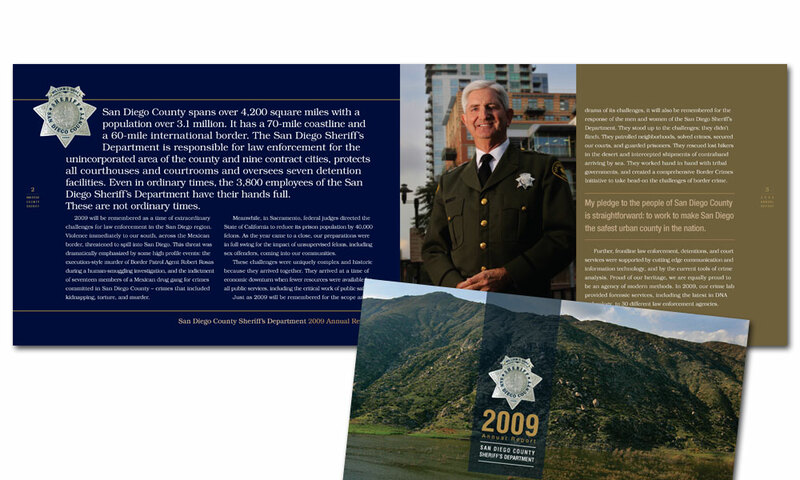 The San Diego County Sheriff’s Department is the fourth largest in the United States. 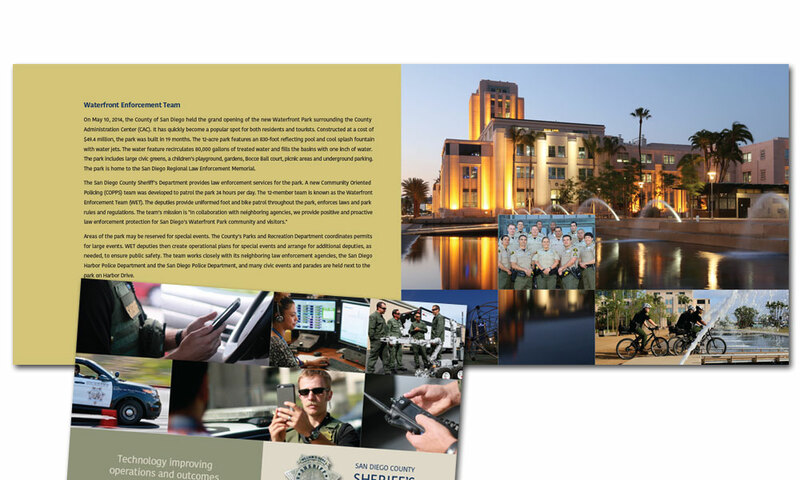 They provide law enforcement services to nine contract cities and the unincorporated areas of the county. 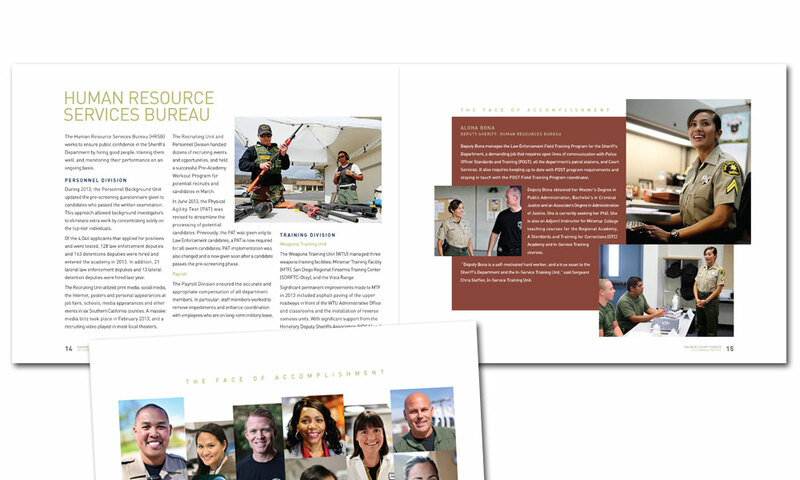 The department is comprised of approximately 4,000 employees, both sworn officers and professional support staff. 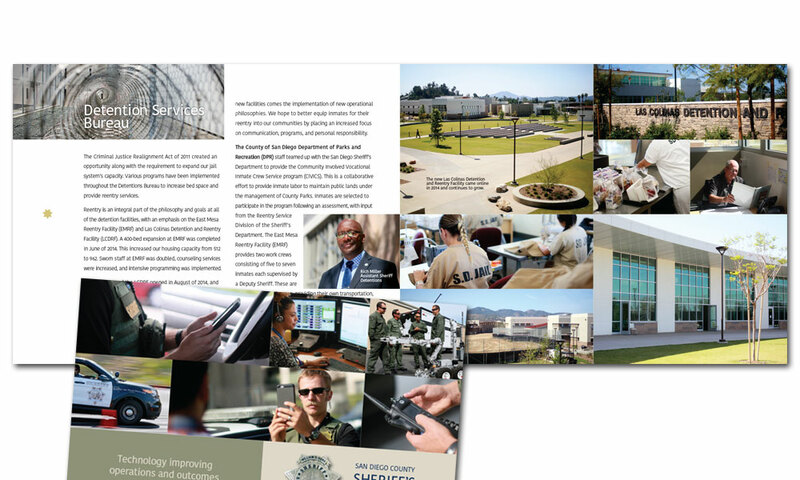 They house over 5,500 inmates in detention facilities, and keep safe 172 courtrooms, at ten courthouses throughout the county. 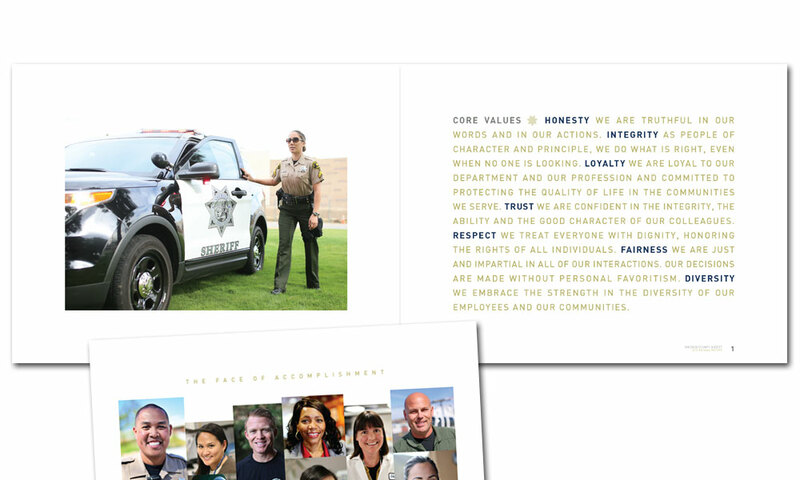 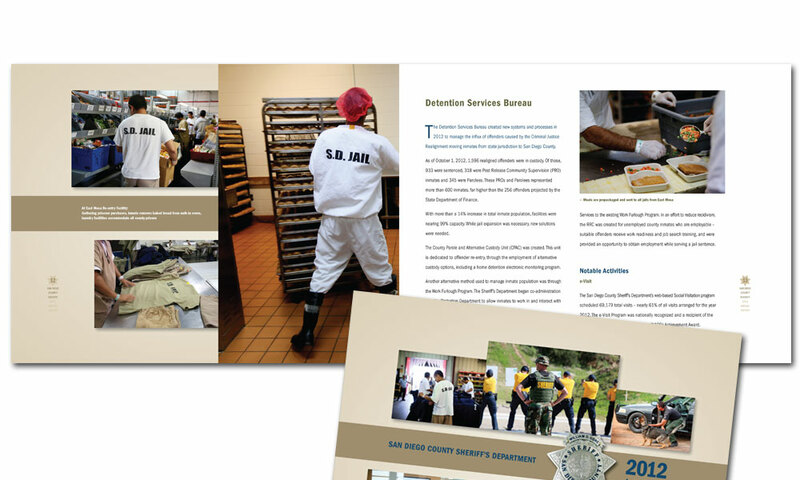 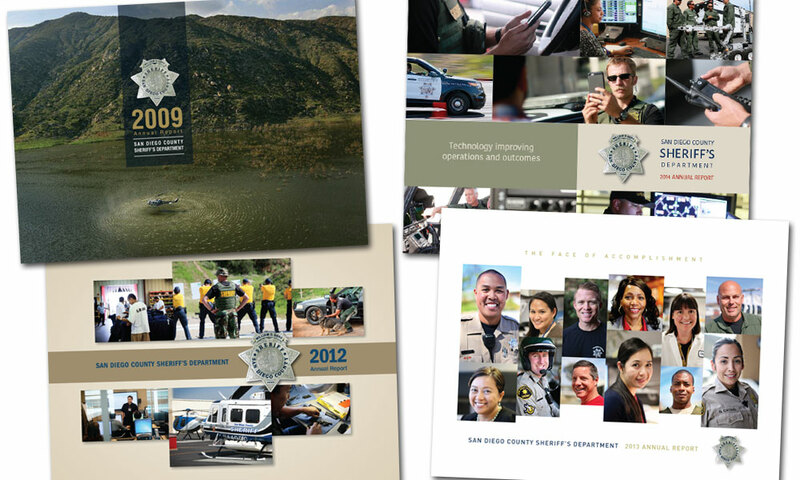 BrainShine has partnered with the Sheriff’s communications office to design and publish their annual report for a number of years. 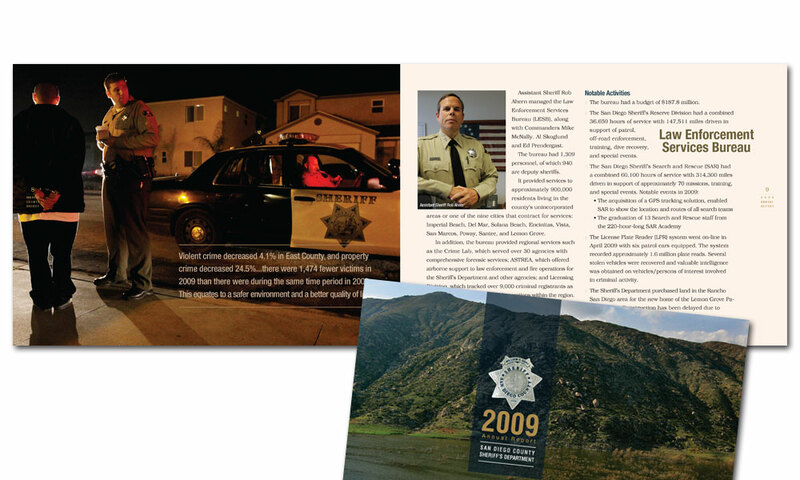 This includes a multi-day photo shoot that spans the reaches of the county and allows us into the inner workings of this vast department. 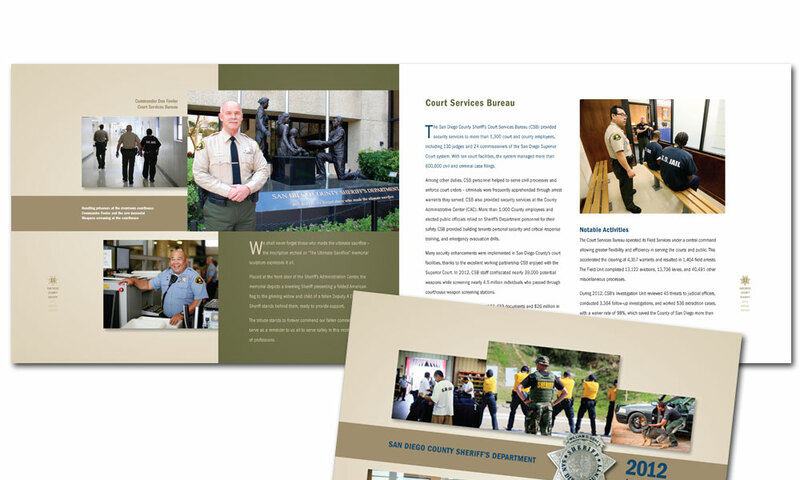 We also provide copywriting and copy editing services to make this 40+ page publication a reality.